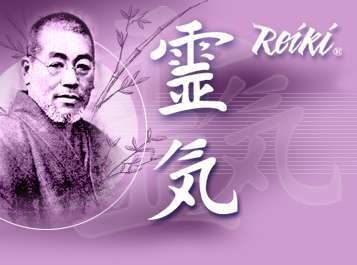 The UK Reiki Federation announced 5 – 11 June 2011 as the Reiki Awareness Week. You might have heard about Reiki already, as it gets more and more popular amongst the complementary treatments. There are two types of Reiki, the western and the traditional Japanese Reiki. I am an Usui Reiki practitioner, so I’d like to introduce the latter one to you. Reiki is an energy healing method; a natural healing system established by Dr. Mikao Usui a Japanese Buddhist. The word REIKI is pronounced Ray Key. REI means UNIVERSAL and refers to the spirit and the soul, KI means VITAL LIFE FORCE, which flows through all that is alive. The energy is pure and neutral force; it is not the practitioner’s own energy. This makes it different from the physical energies used in acupuncture, therapeutic touch or spiritual healing. To fully understand this healing method you need to be familiar with the human energy field. I am sure you have at least heard of chakras, auras, meridians as part of our energy system. When a practitioner uses Reiki the chakras, our main energy centres help distributing the energy throughout the body. It always flows to the part of the body where it most needed moving away blockages from the pathway of the energy. Reiki uses the universal life force, which exists all around us. It repairs the energy flow in your body. It nourishes it and removes energy blockages that may lead to disease. It lifts your mood, makes you feel energised and very relaxed at the same time. Reiki can aid with back pain, insomnia, PMS, addictions and your spiritual development, just to name a few. If they use the Universal Life Force during a Reiki Treatment can anyone do it? No, only those, who were initiated by a Reiki master. That means the Reiki master connects the person to the Universal Life Force, which helps this energy flow through the energy channels of the practitioner. There are 3 levels in Reiki. Reiki 1 allows you to channel this energy and heal yourself along with others. Many people stops at this level. After being attuned, a 21 days period starts when life-changing new habits can be established. It involves lots of self-healing and meditation practices. Reiki 2 teaches you three important symbols. By using them you are not only able to heal yourself and others, but can connect with another person through time and space and send distant Reiki by activating the symbols. After being attuned to this level in the following 21 days again big changes take place and help with your personal development. It is more drastic than the previous one was. Basically your “personal compass” is being re-calibrated and you can prepare yourself to walk your path consciously. If you decide, at this level you can become a Reiki therapist/practitioner. It takes a lot of commitment from your part. To be able to keep your energy channels clean you are asked to do self-healing every day along with certain meditation exercises. Some people know about Reiki as a massage. The reason for this is lots of therapists incorporate Reiki with their other field of expertise, such as reflexology, acupressure, massage etc. I personally decided to practice as a Reiki therapist, using the traditional hand positions. There are 12 main ones, and many specialised hand positions. Intuition plays an important part during the treatment too. I find it amazing to see my clients feeling so relaxed and energised after the first session and seeing them coming back regularly, because Reiki is so effective for their problems. A treatment usually consists of 4 sessions. During this time your body can develop a healthier state of being. Some people decide to come back for more, just to top up their energy every now and then or get deeply relaxed before they go on holiday or after a very distressing period. Others like to have help during their PMS to ease tension and the symptoms or having some emotional blockages sorted out. In Reiki 3 you can learn another symbol, which makes you able to attune others to Reiki energy. 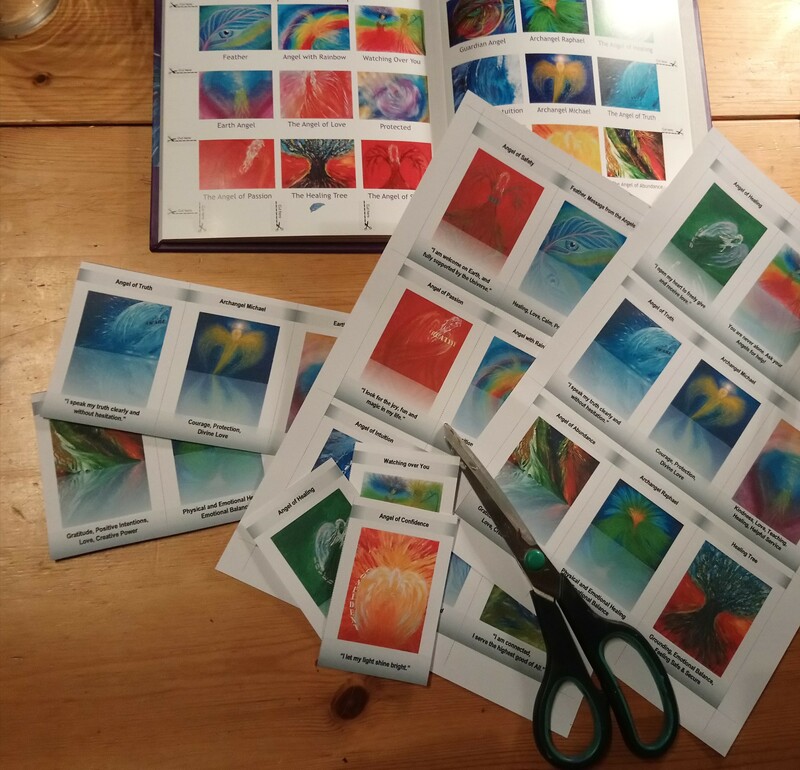 As a Reiki Master you can decide to practice only, so you will be called a Reiki Master Practitioner, or teach as well, which makes you a Reiki Master Teacher. You do not have to be attuned to Reiki energy to be able to enjoy its amazing benefits. Reiki awakens your body’s own healing power, enabling you to play an active part of this amazing healing process. Unlike medication, which only treats the symptoms, energy work goes to a deeper level to deal with the cause of the problem, which leads to a holistic approach, working simultaneously on Mind, Body and Soul. On a physical level Reiki can ease your pain and speeds up the recovery process, also eliminates toxins from your body, on an emotional level it assists decreasing your anxiety, stress levels, and complements the treatment of depression. What happens in a Reiki session? During the Reiki session the practitioner places her hands very lightly on the body in the variety of positions. The patient is normally lying down and always remains fully clothed throughout the session. If you prefer not to be touched just say so. The energy still can flow through your aura and chakra system. The length of the treatment can be anywhere between 20 – 90 minutes. During the Reiki Awareness Week 20 minutes taster sessions will be provided by qualified therapists for relaxation and stress relief. Where? Wendover, Buckinghamshire, in the Library. When? Thursday 9th June 16:00 – 19:30 and Friday 10th June 13:00 – 15:00. It is a charity event, therefore donations go to Chiltern MS Centre. Come along and enjoy Reiki! ← How to prepare yourself and create a place of tranquillity for a good night sleep? Distant Reiki Healing for FREE – How to get the most out of this amazing healing energy? Am I addicted to Reiki Energy? Want to Be in Charge of Your Fortune in 2019? Take My Meditation Challenge! © copyright Éva Mária Hunt (was Éva Mária Szántó) trading as Spiritual Wonders 2010 - 2018 All Rights Reserved My jewellery designs and artwork are all protected by design right and copyright law. Legal action will be taken against any form of copying. If you wish to use them, please contact the artist.